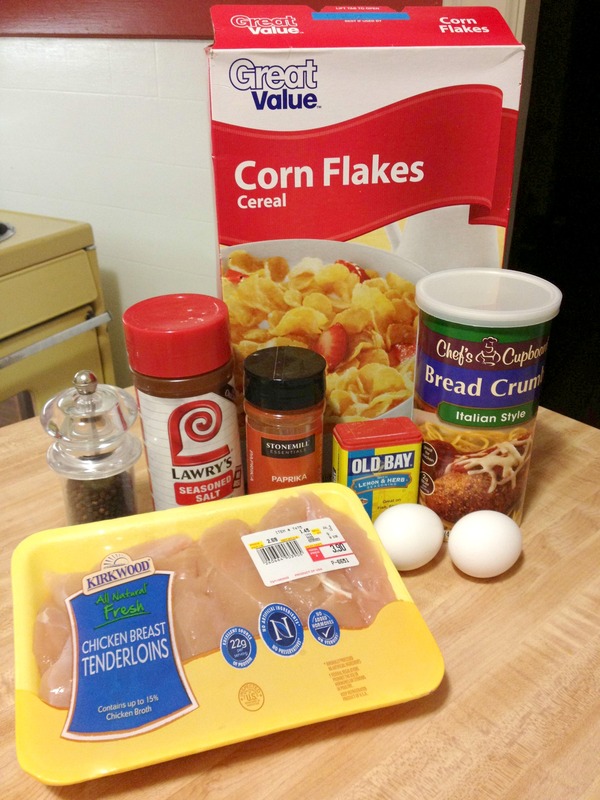 Growing up my Mom used to make chicken with Shake n’ Bake or cornflakes. It was one of my favorite meals and has now become a staple in my own household. My Grandmother used to make fried chicken and it is toooo diiieeee for! But as much as any of us likes KFC or some homemade fried chicken, all that grease is definitely not good for you or your gut. To the rescue, oven fried chicken! You still get that crunch, without the grease. Personally, I think it tastes a little better than fried anyway. It might sound silly, but instead of buying the box of already pulverized cornflakes, I buy the big box from Walmart and crush it up myself. Just get yourself a gallon ziplock bag, pour in the cereal and get to squishing. If you have little ones, this is definitely a job they would enjoy doing! Find three deep dishes to use to bread the chicken. In the first place the flour, half the paprika, some salt and pepper. In the second, put the beaten eggs and milk. And in the last, place as much of the cornflakes and breadcrumbs in it and the rest of the seasonings. 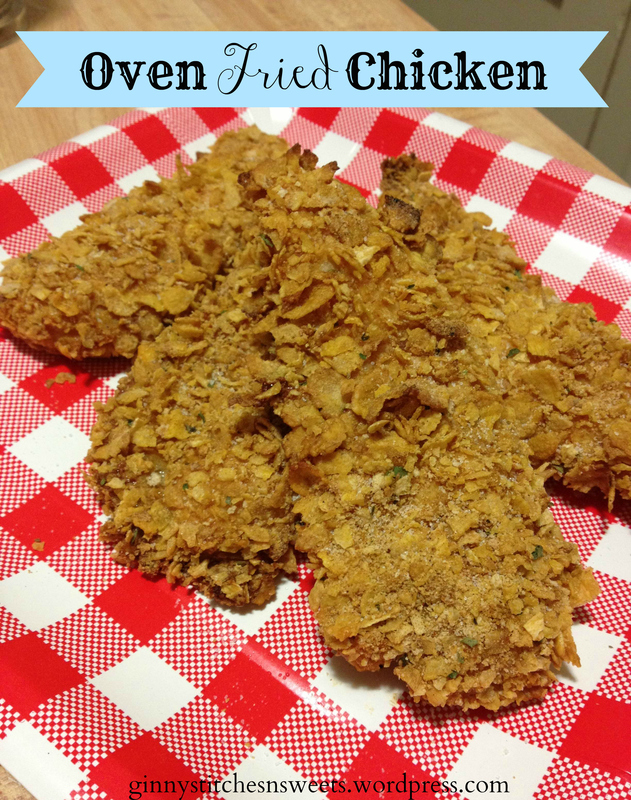 Roll the chicken into the flour mixture, then into the egg mixture and finally the cornflakes. 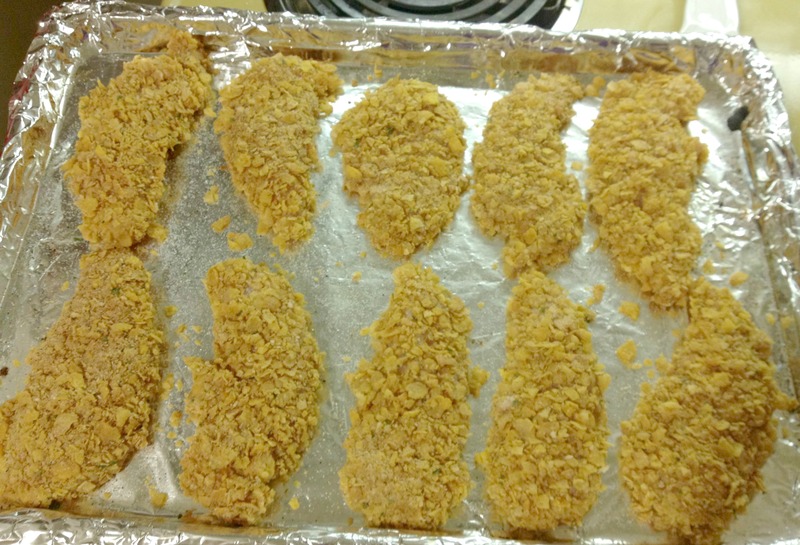 I usually press the chicken down into the cornflake breading on each side to make sure it’s completely coated. 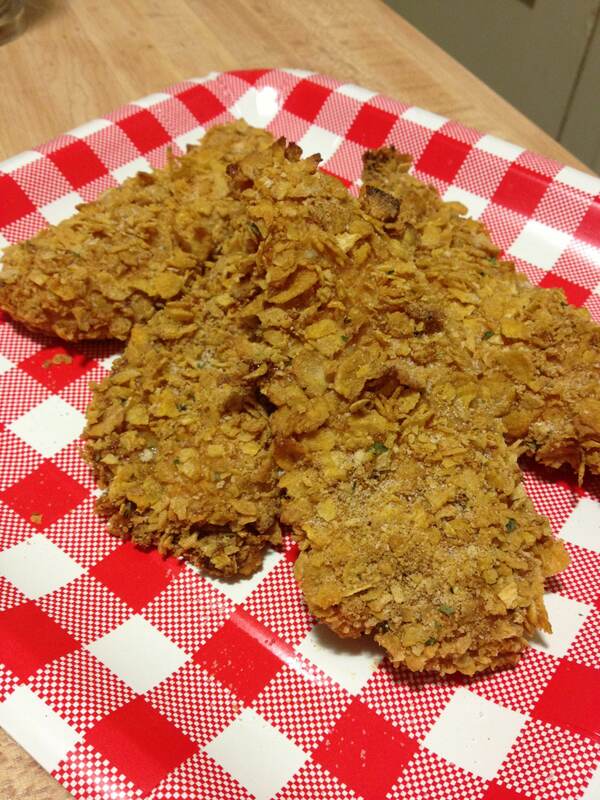 The flour and egg make like a glue to help the cornflakes stick. Place your chicken on a foil lined baking sheet and sprinkle with more salt and pepper. It might take more than you think, considering the cornflakes are rather bland. Do you serve baked or fried chicken in your house?